Here's the January 2017 issue of Tax Update — our newsletter for the business community. This edition features articles on the new due date for employers filing Form 967 and W-2s, enhanced security for TAP, income tax refunds, short-term lodging rentals, guidance for contractors, and more! File Form 967 and W-2s by Jan. 31, and file 1099s by Feb. 28. If you choose this option, please follow our online instructions. Use TAP (Taxpayer Access Point) for the fastest and easiest way to file your Form 967, W-2s, and 1099s. For taxpayers with accounts in our TAP system, we understand that creating and changing passwords in TAP requires extra effort. However, this extra effort results in enhanced security for you. Requiring that passwords be changed every 90 days. We appreciate your help and patience in working with us to protect your information. To learn more about TAP, visit our TAP Help (FAQs). Track Your Income Tax Refund Progress 24/7. 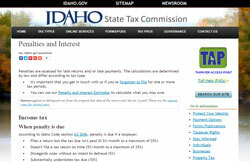 Visit tax.idaho.gov to get the most up-to-date refund information available. Typical Refund Time Frames. The time frames below are general and don't apply to every refund. It's best not to depend on getting a refund by a certain date, especially when making purchases or paying bills. First-time filers: It takes about 3 weeks to enter a first-time filer into the system. Until that time, our refund updates will report your return as "not entered in system." Add those 3 weeks to the estimates below to determine your refund time frame. E-filers: Expect your refund about 7-8 weeks from the date you receive your filing acknowledgment from the state. Paper filers: Your refund will take about 10-11 weeks to process. If you receive a letter from us, please respond quickly so we can review your information and get your refund to you as soon as possible. For more refund information, visit tax.idaho.gov/refundinfo. Jan. 23, 2017 — The day you can start e-filing your 2016 Idaho individual income tax return. April 18, 2017 — The deadline to file your 2016 Idaho individual income tax return (also the federal due date). Always use security software with firewall and anti-virus protections for your computer. Make sure the security software is always turned on and can automatically update. Encrypt sensitive files such as tax records you store on your computer. Use strong passwords. Learn to recognize and avoid phishing emails, threatening phone calls, and texts from thieves posing as legitimate organizations such as your bank, credit card company, and government organizations, including the Tax Commission. Don't click on links or download attachments from unknown or suspicious emails. Protect your personal data. Don't routinely carry your Social Security card, and make sure your tax records are secure. 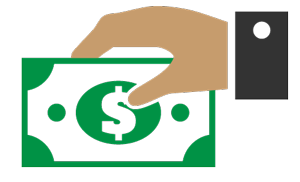 Treat your personal information like you do your cash; don't leave it lying around. Ensure that e-mails being sent or received that contain taxpayer data are encrypted and secure. Make sure paper documents, computer disks, flash drives, and other media are kept in a secure location and restrict access to authorized users only. Terminate access to taxpayer information for anyone who is no longer employed by your business. Protect your facilities from unauthorized access and potential dangers. For more information, visit the IRS Security Summit web page. You can also visit our web page, Helpful Tips for Protecting Your Identity. The Tax Commission is reminding homeowners who provide temporary lodging for a fee that they must charge tax on the accommodations. Idaho's sales tax (6 percent) and the state travel and convention tax (2 percent) apply to any sleeping accommodations rented for stays of 30 days or less. This includes the rental of a home, vacation home, cabin, lodge, condominium, townhouse, room in a private residence, or any other structure. Some Idaho resort cities and auditorium districts may also add a local sales tax on sleeping accommodations. For example, the Greater Boise Auditorium District tax (5 percent) applies to rooms rented within certain areas of Boise. Some hosting site platforms, like Airbnb, may collect the state taxes for hosts who list their homes with them. However, the homeowner is responsible for making sure that all taxes that apply are being collected and remitted by either the homeowner or the hosting site. To register to collect and remit the state sales, travel and convention, and Greater Boise Auditorium District taxes, visit the Tax Commission's Idaho Business Registration Info web page. For more information, see our Short-Term Lodging web page. If you're a contractor improving real property, remember: You shouldn't charge sales tax to your customers for materials used to improve real property. You should either pay sales tax to your vendor or pay use tax to Idaho on all purchases of materials used in these projects. Your contract bid should be high enough to cover any sales or use tax you paid without itemizing these taxes on the bid or the bill for the work done. If you charge sales tax on the bill, your customer can refuse to pay it or request a refund for it later. If you charge sales tax in error and your customer pays it, you must still report and pay the sales tax collected to the state. In addition, if you improperly charged a sales tax to your customer, you're still required by law to pay use tax to the state on the materials installed during the real property project. Please share this important information with your bookkeeper or accountant! 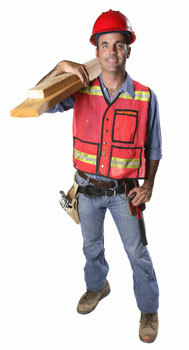 For more information, visit our Contractors Working in Idaho web page. As of Jan. 1, 2017, you can no longer report Idaho off-road nontaxable miles on the return. You must now report split rates on the return. For more information, see our Changes for Idaho IFTA Filers web page. TAP Availability for Return Filing and Payments web page. This page lists the dates when Taxpayer Access Point (TAP) account holders can begin to file and pay their taxes for specific filing periods through our online TAP system. Firearms Transfer Fees and Taxes web page. This page provides tax information on firearms transfer fees charged by Federal Firearms Licensees in Idaho. Penalties & Interest web page. This page provides information on penalties for filing late income tax returns or making late payments, including a chart on how income tax penalties are calculated. Oil and Gas Production Tax web page. This page provides information on the oil and gas production tax, including the tax rate and links to relevant forms and statutes. Electricity (Kilowatt Hour) web page. Information on the electricity tax is available through this page, including the tax rate and links to relevant forms and statutes.